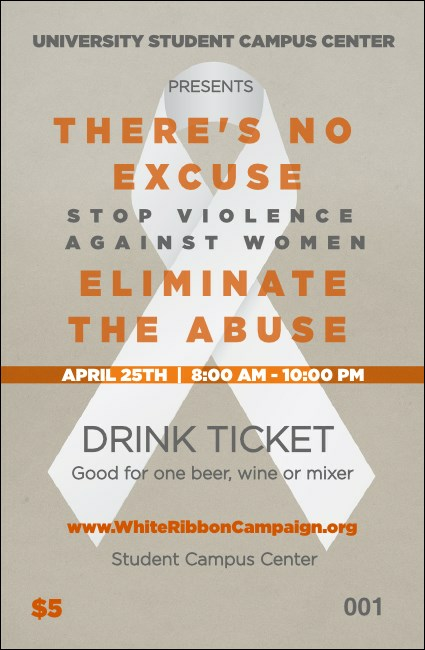 For your next event to raise awareness of violence against women, choose the White Ribbon Drink Ticket. Printed on high quality card stock, this ticket features a serene grey background, a bold white ribbon, and orange and dark grey text. Combine with a Matching Event Kit for a seamless campaign.